Many tourists from Kolkata and Bengal who have booked their tickets to the Himalayan nation in this winter vacation, attracted by the Nepal Tourism slogan, “Naturally Nepal: Once is not Enough”, will be hit after the announcement of a ban on high value Indian currency notes by the Nepal government yesterday, travel agents say. One of the main reasons for the ban on Indian currency notes of Rs 200, Rs 500 and Rs 2000 value is that Nepalese markets have been flooded with fake currency notes, the Nepalese government claims. Talking to The Statesman, Mr Anil Punjabi, president of Travel Agents Federation of India (Eastern India), said that mostly tourists carry cash for the attraction of the casinos in Nepal. “Casinos have already come up in Goa and Sikkim here, while they have long been one of the tourist attractions of Thailand, posing some serious challenges to Nepal. But the ban on Indian high value currency notes will have an adverse impact on tourism in Nepal as tourists will find it difficult and unsafe to carry a huge amount of money in denominations of Rs 100 only,” he added. OPINION | Should Nepal remain pegged to Indian rupee? “Even now in Nepal, they do not accept soiled Indian currency notes and in almost all Indian bundle of notes, there are about five to six soiled ones, making it extremely difficult. Nepal contributes about 5 per cent of the total bookings made through travel agents of the state. About 18,000 tourists visit Nepal from Kolkata every year,” Mr Punjabi added. Though the peak times to visit Nepal are during the Durga Puja vacation and the summer season, in winter too, there are good bookings. The note ban decision by the Nepal government will be the second major blow to the state’s tourism sector after the disastrous floods in Kerala this year. Though the flow of tourists had slowed down after the earthquake in Nepal, around 1000 to 1200 tourists visit Nepal from Kolkata every month now. The main problem is the frequency of flights from Netaji Subhas Chandra Bose International Airport in Kolkata. Travel agents feel that the weekly frequency should be increased and more private flight operators should start operating flights to Kathmandu. Recently, North Bengal tour operators signed a memorandum of understanding with their Nepal counterparts for transborder tourism. 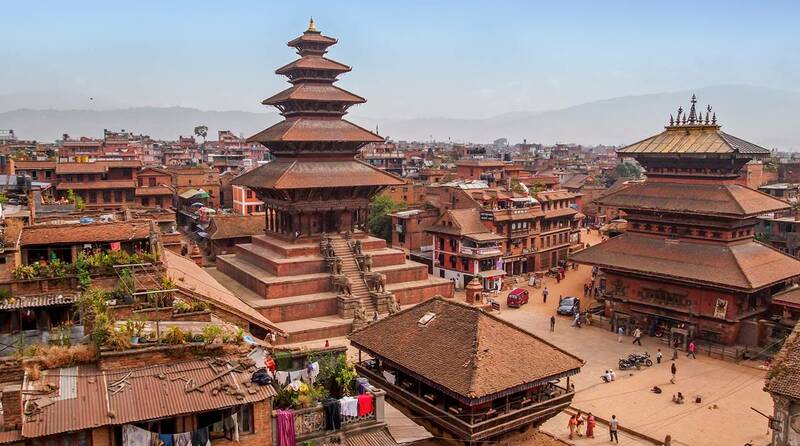 Tourism is the largest industry in Nepal and contributes 3 per cent of the country’s GDP. Possessing eight of the top 10 highest mountains of the world, Nepal is a hot spot for mountaineers, rock climbers, sky divers, bird watcher and people seeking adventure. ‘Nepal is Beautiful : Visit and Enjoy in Nepal’ is the slogan or motto of ‘ Nepal Tourism Year 2018’, popularly known as ‘Visit Nepal 2018’. Their target is to bring 1.6 million tourists into the country until 2018. But it seems that the decision to ban high value Indian currency notes will badly hit the tourism industry as Indians account for the highest number of foreign tourists vising Nepal every year. Travel agents feel that plastic money cannot be an alternative to the budget conscious tourists.